This might, or might not, actually answer a question attracting and retaining recent grads in Windsor, but either way, it should be interesting viewing. Given the people set to speak, it’s quite possible that there’s going to be a lot more of the same noise (well except for Vincent Georgie, there are a lot of good things coming from his efforts at Odette), but here’s hoping there’s a chance for the conversation to open to the floor where some more expansive ideas can start to be generated. My fingers are crossed that this doesn’t turn (exclusively) into a propaganda + complaint session, but instead actually becomes a productive forum for conversation. CBC Windsor has been asking what it is the young, tech-savvy children of the Baby Boomers are looking for in a city – and whether Windsor has what it takes to attract and keep Generation Y. On Tuesday, November 29, we’ll be bringing those young voices together for a special town hall hosted by CBC News Windsor at 6 anchor Susan Pedler and online host Greg Layson. Joining in the conversation are Windsor Mayor Eddie Francis, City Councillor Al Maghnieh, Vincent Georgie from the Odette School of Business, Dave Bussière from Admissions and Recruitment at the University of Windsor and Michael Lomonaco from Open Systems Technology in Grand Rapids, MI. Our audience will be encouraged to use their mobile devices during the event to chat with Greg, tweet (#cbcwdr), respond to others’ tweets, update their Facebook status or follow CBC at www.facebook.com/cbcwindsor. The event will be a mix of taped stories, chat, and special guest panelists. It all happens Tuesday, November 29th at 8:00 p.m. at the Capitol Theatre. 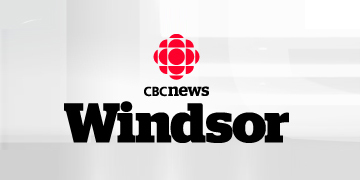 Good on CBC Windsor for pulling this together. I’d love to see this happen on a more regular occasion (well, this being a range of off-site and issue-driven programming). I’ve asked students from my class to go, and hopefully some other BCLers will join Sara (I think she said she was going). Unfortunately I won’t be able to make it, I’m giving a workshop on grant writing at the ACWR (tonight at 7pm).